In the past few months, we have covered a bunch of plugins and themes that turn WordPress into an event management system. Listing all the events you have added to your site is going to be much easier with a plugin like the Chronosly Events Calendar. This plugin has a responsive design and 15 views. You can add your events with shortcodes and widgets. The plugin has Google Maps integration and unlimited categories. Webmasters can buy premium templates to do even more with this plugin. Recurring events are also supported. 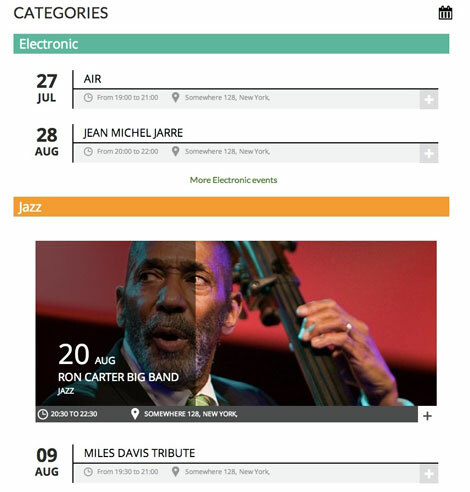 This plugin lets you display lists of events on your site in an elegant fashion. It gives you control over event URLs too. This is a free script.